BRYAN EATON/Staff Photo. 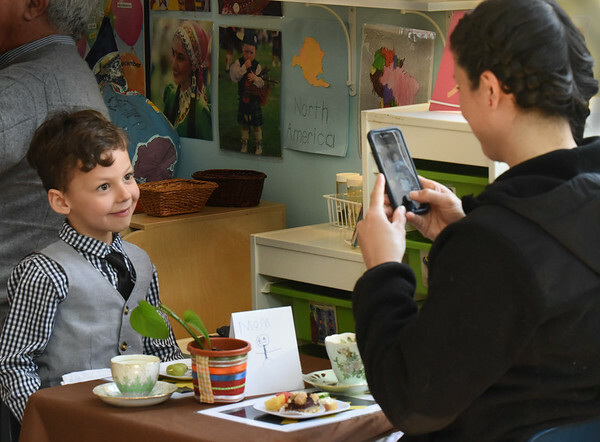 Duke Sargent, 5, is all dressed up as his mom, Lauren, takes a photo of him at a Spring Tea Party at the Newburyport Montessori School. The annual event is popular with the students who are allowed one guest as they learn about grace and courtesy and even help make the snacks.